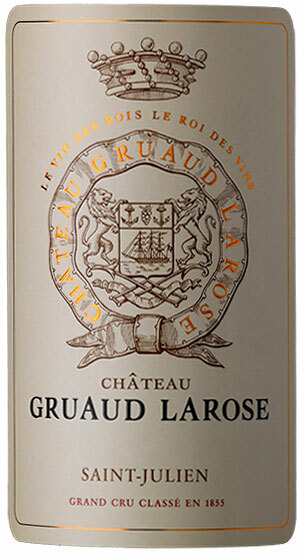 Somewhat of a letdown when tasted side by side with the 1990, the dark garnet-colored 1989 Gruaud-Larose offers up notes of cedar, tobacco leaf, red and black currants, and some hints of compost. The nose smells sweet, on the palate it is relatively ripe and sweet, but then the wine seems to have plenty of tannin and toughness without that incredible sweet, chewy mid-palate the 1990 possesses. The wine still seems somewhat disjointed, but there are plenty of good things to be found. Perhaps the real problem is that it just suffers in comparison to the profound 1990. Anticipated maturity: 2005-2018. Last tasted, 5/02. Tasted at The Ledbury Gruaud Larose lunch, the 1989 was one of the standout wines of the tasting. It displays wonderful definition on the nose, more clarity than the 1990 alongside, with hints of sandalwood, Provencal herbs, white fennel and a touch of mint. The palate is medium-bodied and beautifully balanced, demonstrating a tad more composure than the 1990 with good weight on the linear finish. I like the control here, the sense of finesse. Drinking perfectly now. Delivers fabulous aromas of crushed red fruits, with leather, tar, tobacco and mint. Full-bodied, offering supersoft and silky tannins, as well as a beautiful polish. Open and luscious, with amazing richness of fruit and decadence at the same time.